﻿Our rental rates start at just £615 per week, our minimum length of stay is 3 nights (7 nights in high season). 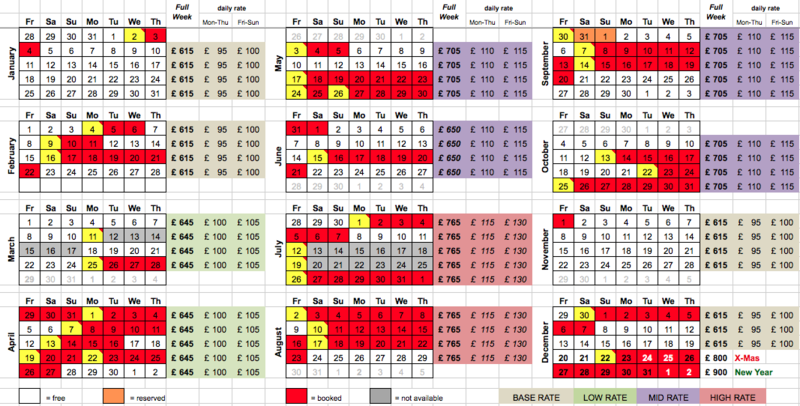 Prices are based on a daily rate as shown, for bookings of a full week (7 nights or more) a 10% discount to the combined daily rate is applied. We charge a small supplement of £20 per dog. There are no other charges or booking fees.